Breaking News: Kim Oosterhoudt of Jams By Kim will be at the Montclair Farmers Market Saturday March 26 from 9am to 1pm. The Winter Montclair Farmers’ Market is every Saturday from 9 – 1 at the Walnut St Train Station. It is smaller than the popular Summer market but still includes favorites like Picklelicious, A Gardeners Kitchen, and Stefan’s. Rumor has it that Matarazzo Farms will be bringing Spring flowers to market just in time for Easter. Everyone at Taste of Montclair earlier this month was chattering about her wine jams. Photographer Anthony Torres‘ photo of the jam has been posted and shared on social media more times that we can count. 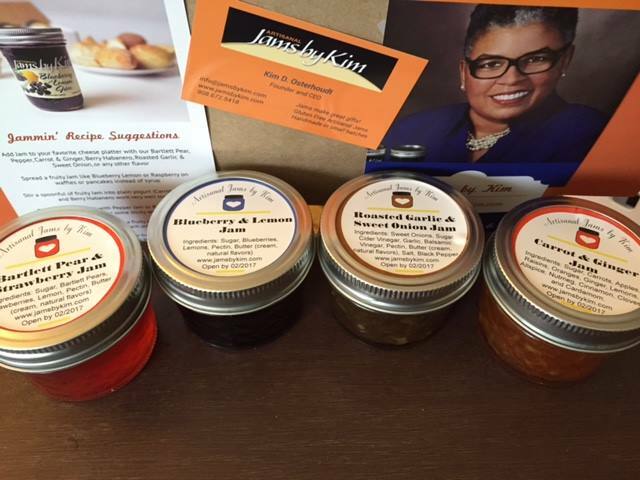 Be sure to like Jams By Kim on Facebook, follow @JamsByKim on Twitter and @JamsByKim on Instagram.